An amnesia that causes everyone you’ve ever met to forget you exist, while you remain painfully aware of your history. Amalady that erodes the link between cause and effect: one man commits a murder, another carries the guilt and a third is sentenced for it. A condition that causes your body to imitate death – stopping your heart, cooling your blood. Will the fit pass before they bury you, or after? As Máximo soon discovers, the pursuit of knowledge at the CentralLibrary is tangled up with the humours and inclinations of the writers and their times. 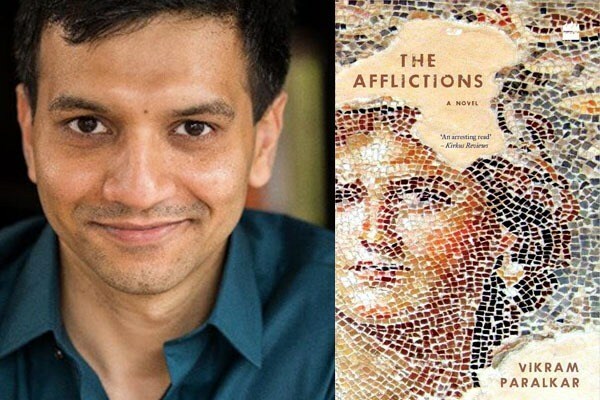 The Afflictions is the brilliant first novel byphysician–scientist Vikram Paralkar, whose The Wounds of the Dead garnered much critical acclaim.